A Self-Guided Walking Trail is to be developed in stages following the re-opening of Mary MacKillop Museum. Visitors will walk in the footsteps of Mary MacKillop and her pioneering Sister companions as they discover historical sites connected to the early Josephite story. The proposed Walking Trail experience will touch visitors’ hearts deeply. Watch this space! Australia’s first saint lived in inner city Adelaide for five years. In that time, she established schools and charitable institutions on well-known Adelaide streets, leaving a lasting mark on the city. 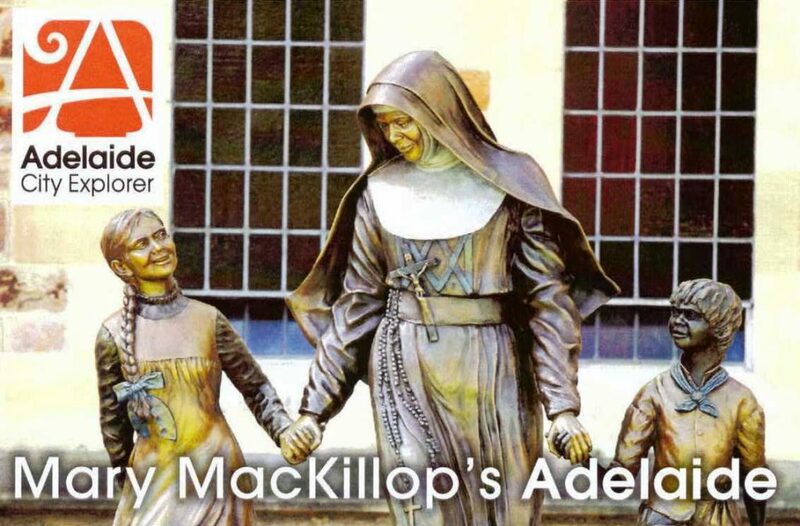 Visit adelaidecityexplorer.com.au (search for Mary MacKillop) or download the app on your mobile phone to follow the footsteps of St Mary MacKillop and her early Sisters through the city.